Henri Marteau (1874-1934) was one of the most important violin and violin teachers of the early twentieth century. His compositional work found little attention despite some respectable successes. was born in Munich into a well known musical family. The young violinist has played on important international stages for many years, performing a large share of the repertoire of violin concerti and important chamber works, from Baroque to contemporary, in partnership with great musical figures. 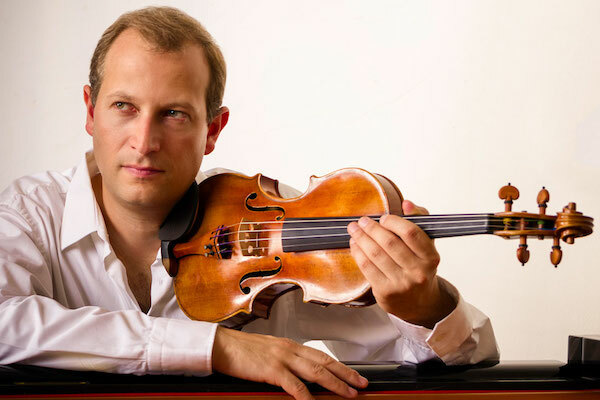 Already winner of the first Prize at the Novosibirsk International Competition for Young Violinists, and recipient of the Culture Prize of Novosibirsk, Nicolas Koeckert became the first German prizewinner at the famous International Tschaikovsky Competition in Moscow in 2002. In the same year he was recognised for his outstanding achievements as a violinist by the State of Bavaria, from whom he was awarded an artistic sponsorship. In 2003, he was a Prizewinner at the Montreal International Musical Competition. Nicolas Koeckert has performed, amongst others, with famous conductors including Lawrence Foster, Sir Colin Davis, Michail Jurowski, Jonathan Nott, Andris Nelsons, Christoph Poppen and Saulius Sondeckis. He has played with leading orchestras such as the Bavarian Radio Symphony , the Royal Philharmonic London, the Bamberger Symphony, Montréal Symphony, the Russian National, the KBS Symphony and the São Paulo Symphony Orchestra. He began his violin studies, age 16, at the Hochschule für Musik Würzburg with Prof. Grigori Zhislin. He then continued at the Musikhochschule Köln with Prof. Zakhar Bron, completing his studies with Distinction in 2007. On the Naxos label, he has meanwhile an award winning discography, including his recording of Russian and Slavic arrangements by Fritz Kreisler, chosen as CD of the month by “The Strad” magazine. Other CD releases include works by Igor Frolov, the Khatchaturian Violinconcerto and the Concert Rhapsody with the Royal Philharmonic Orchestra London under José Serebrier, and Pierre Rode Studies for Solo Violin and Violin Duo, performed with his father Rudolf Koeckert. 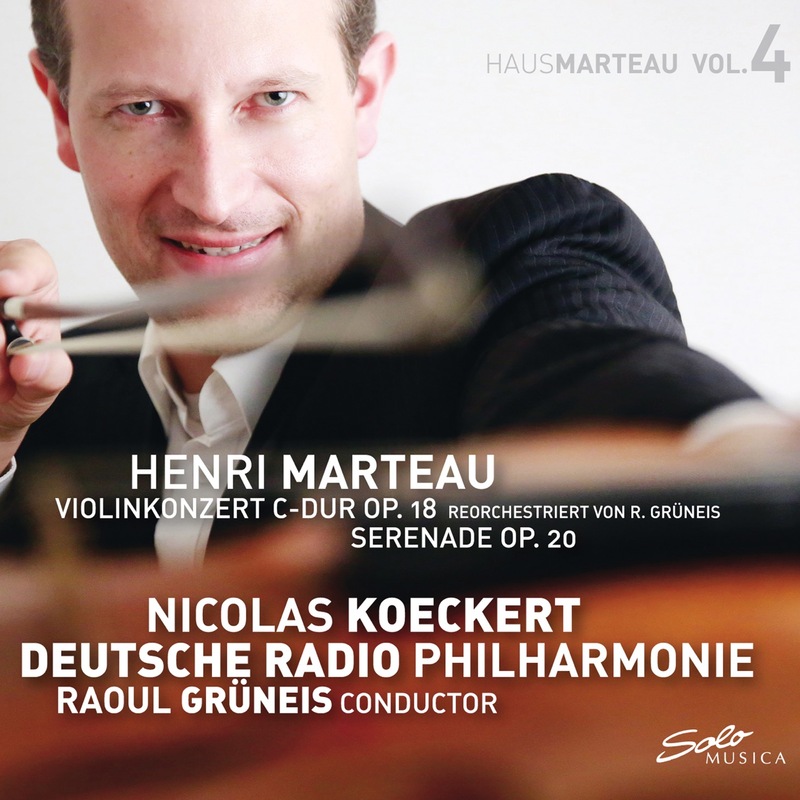 In December 2017 he played the previously lost and presumed unplayable violin concerto by Henri Marteau, exclusively for CD with the German Radio Philharmonic Saarbrücken Kaiserslautern. This recording will appear in June 2018 on the Solo Musica label. After a number of years teaching privately and giving international masterclasses, he was for 7 years university professor in Vienna at the Vienna Private University for Music and Art. His students were awarded prizes on several occasions including at the Tchaikovsky Competition for Young Musicians and the Postacchini, Osaka, Yampolsky, Jugend and prima la musica competitions. They have also gained orchestral positions, sometimes after successful orchestra academy positions, among others with the Berlin Philharmonic, the Bavarian Radio Symphony Orchestra and the Concertgebouw Orchestra Amsterdam. Nicolas Koeckert plays a Giovanni Battista Guadagnini violin made in Milan.